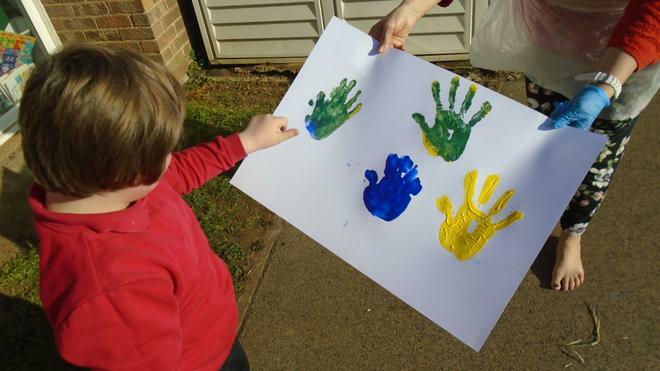 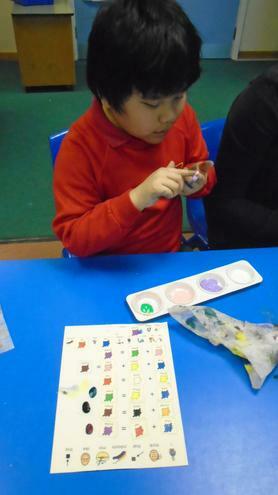 In term 4 we started with the theme of 'Colours All Around Us'. 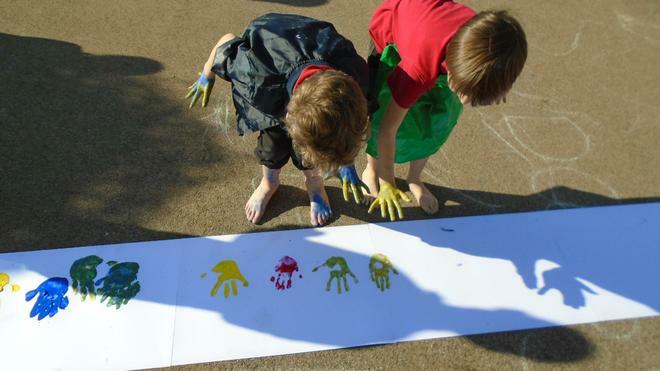 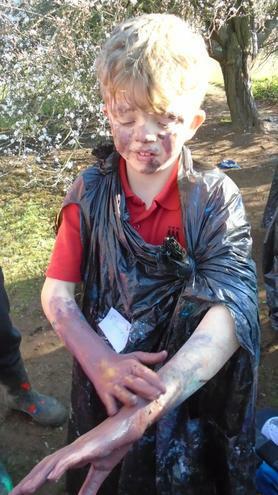 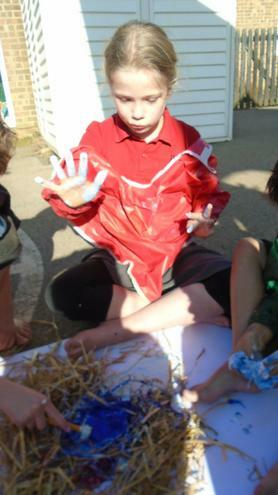 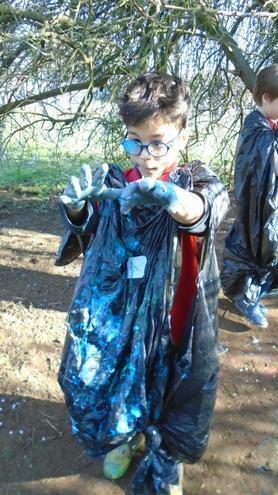 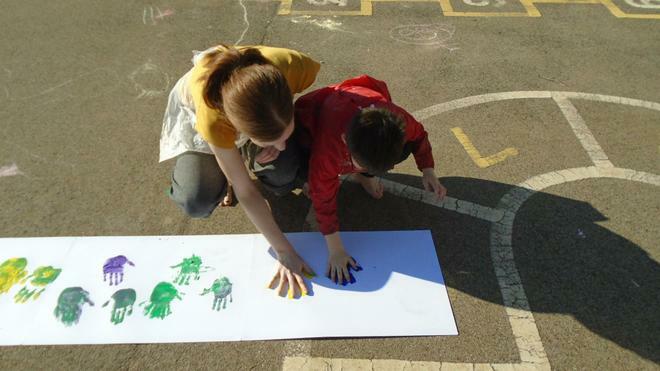 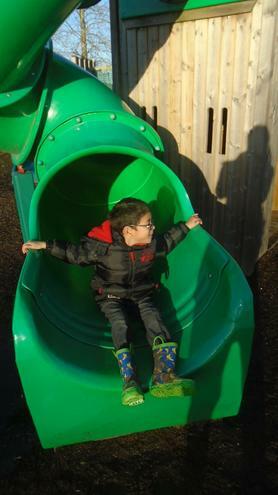 In this theme we did a colour smash activity on the playground, where we all got covered in lots of paint. 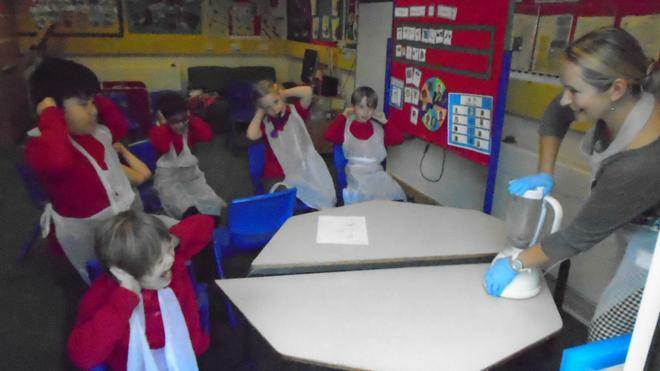 We also did a 'Taste the Rainbow' activity, where we all tried different colour foods including: red cabbage, limes, celery, and many more, and decided if we thought they were yummy or yucky! 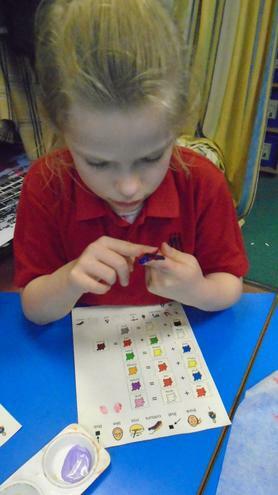 We looked at the Elmer stories and used the elephants for counting in numeracy. 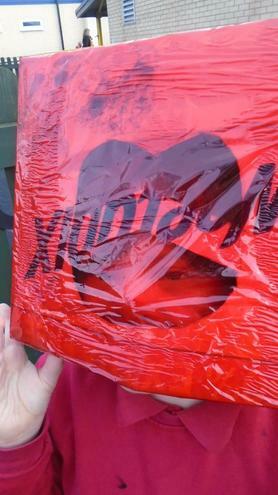 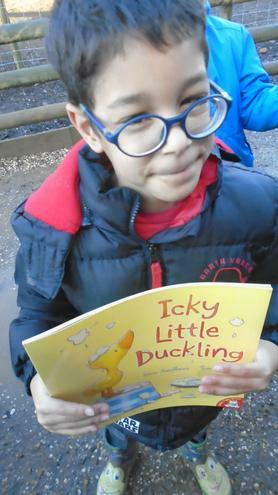 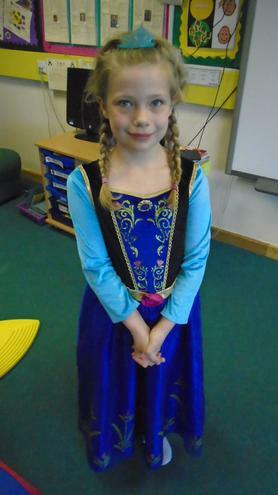 World Book Day was also this term. 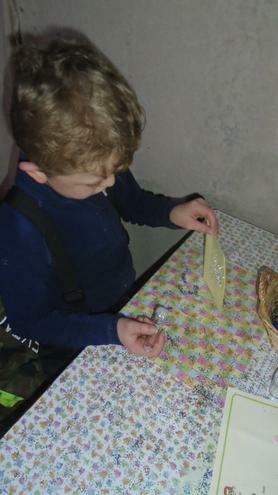 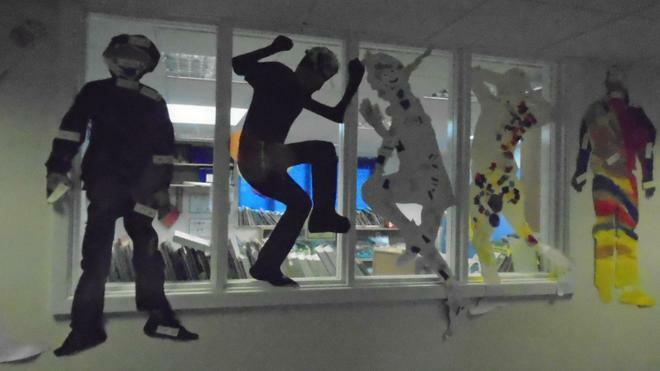 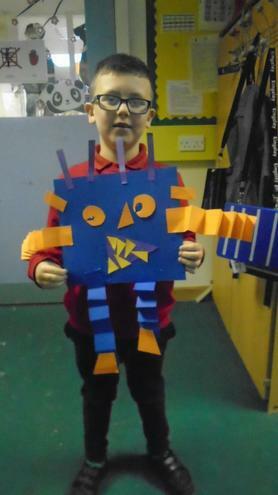 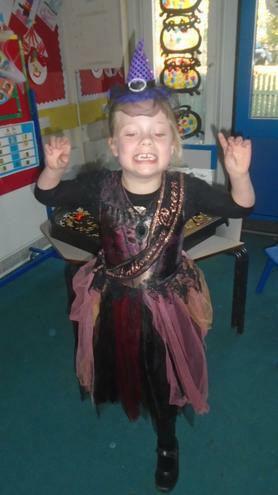 We loved the costume efforts of everyone and enjoyed activities in the library and craft activities making bookmarks. 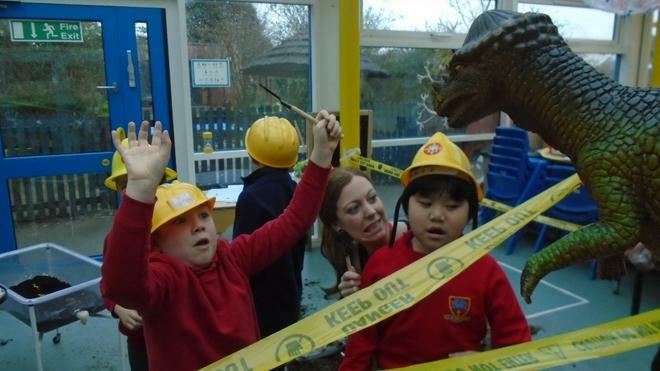 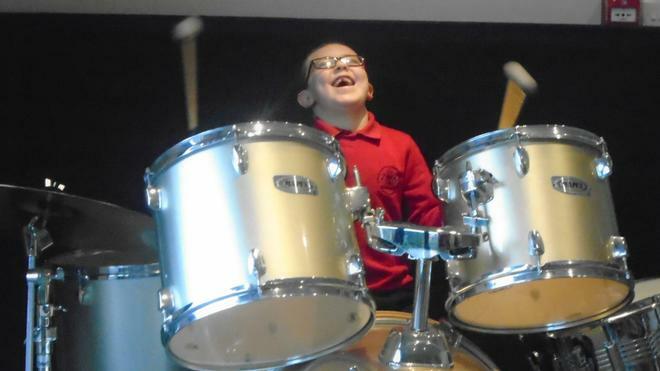 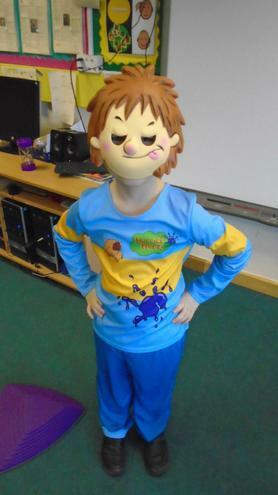 Our next theme for this term has been 'Dig It'. 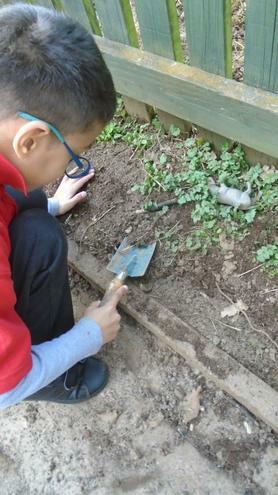 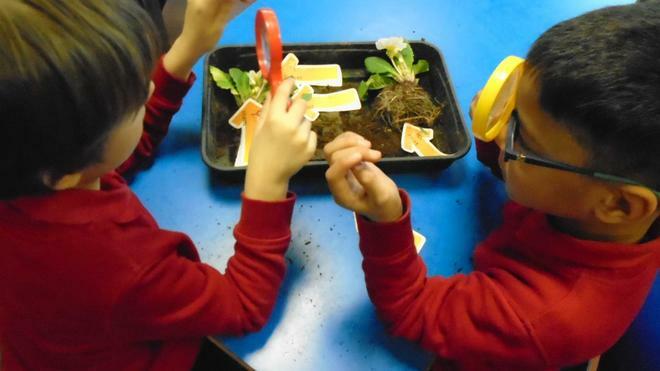 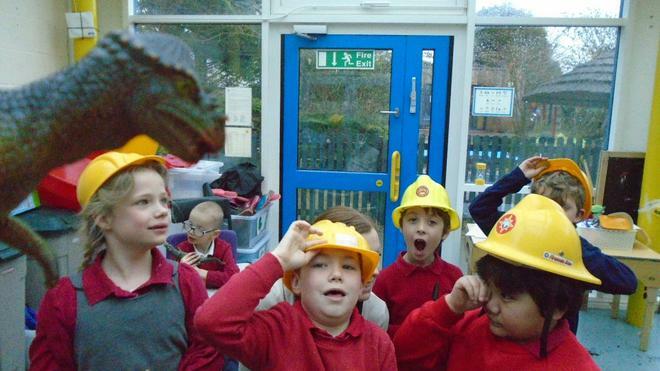 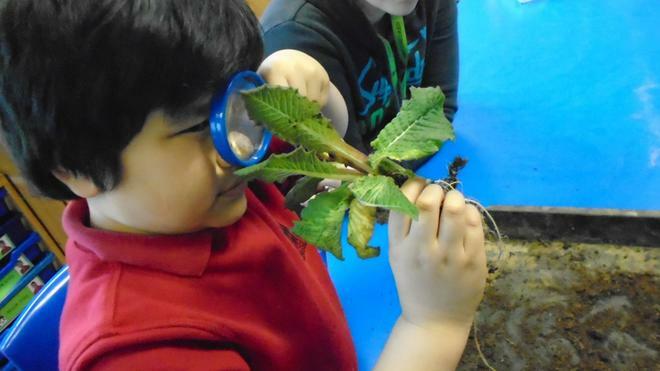 We began putting our scientific hats on and became palaeontologist's digging for dinosaur bones! 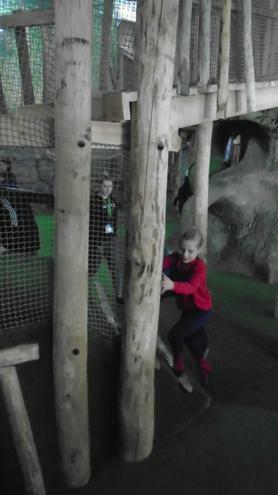 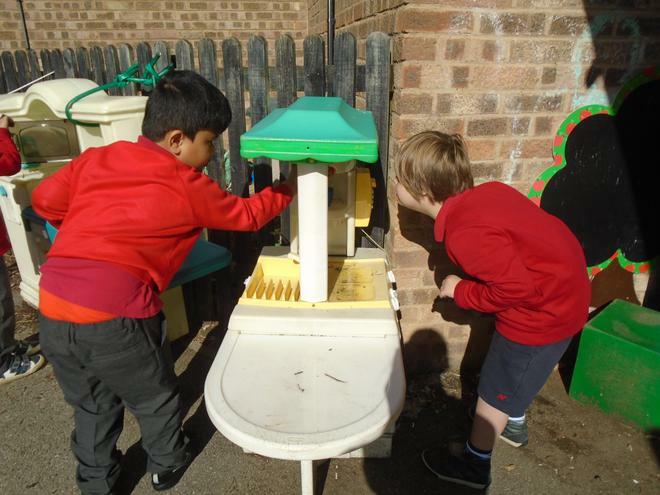 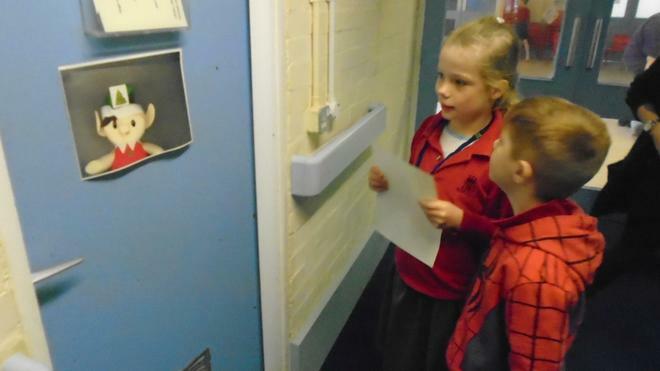 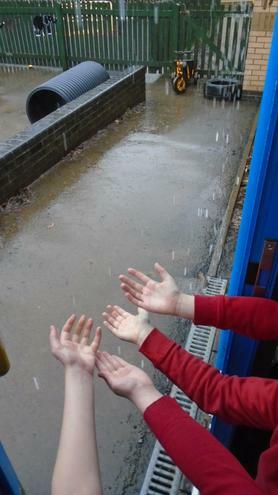 We then looked at ways we can improve the school environment. 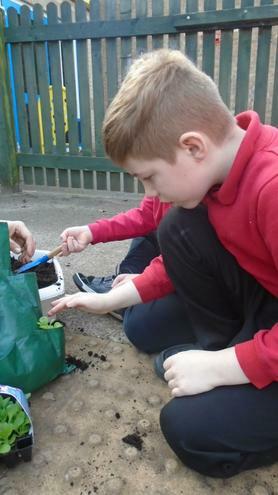 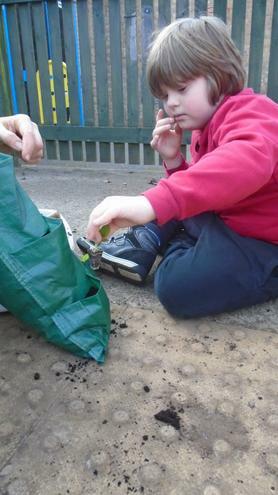 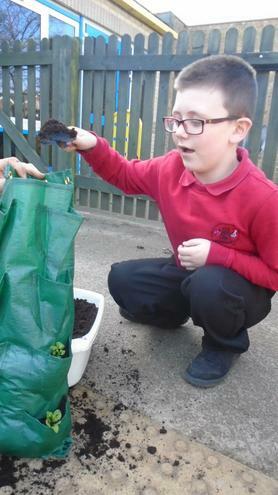 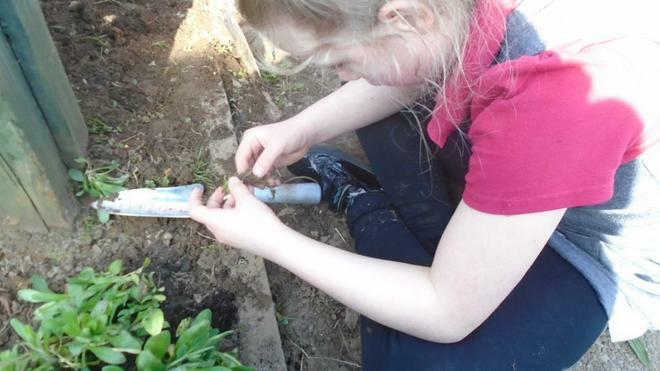 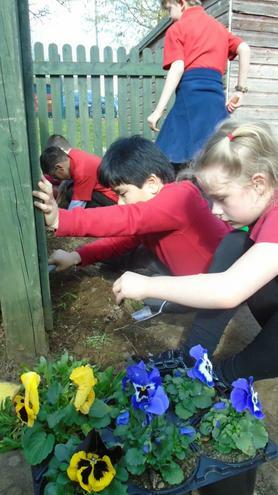 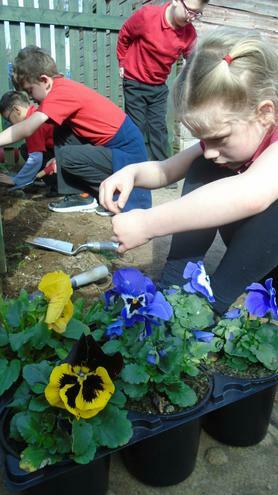 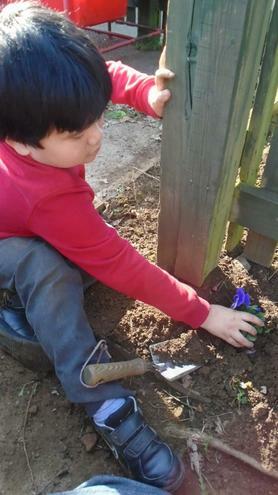 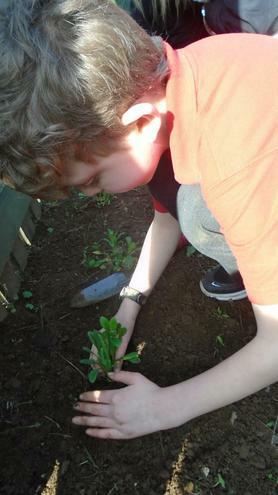 Pandas decided to plant flowers and plants in different outside areas (thank-you for the donations). 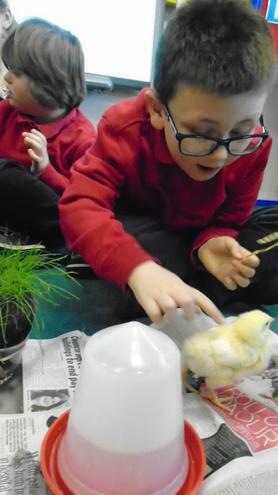 We finished off the term with Easter! 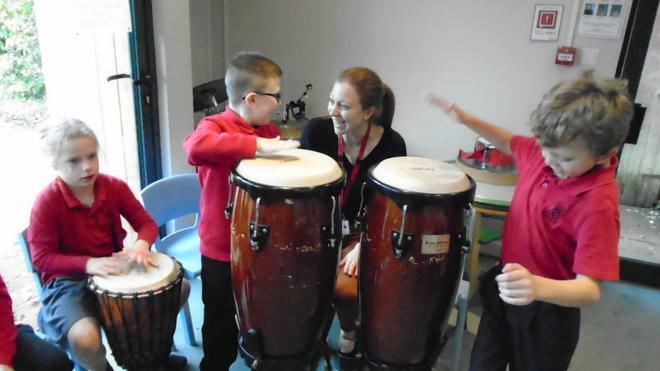 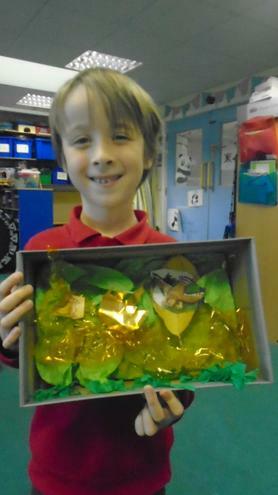 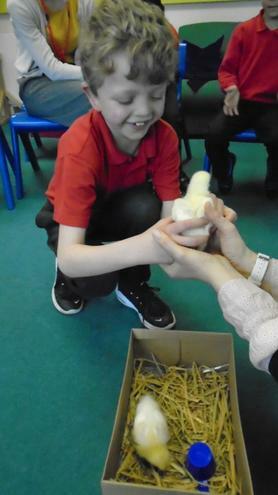 We learnt about festivals around the world, Christian beliefs and the story behind Easter. 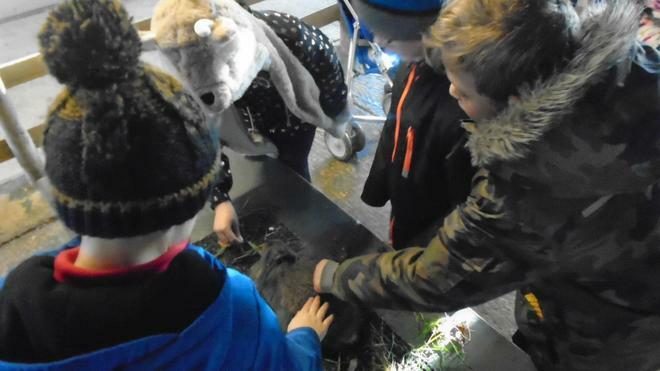 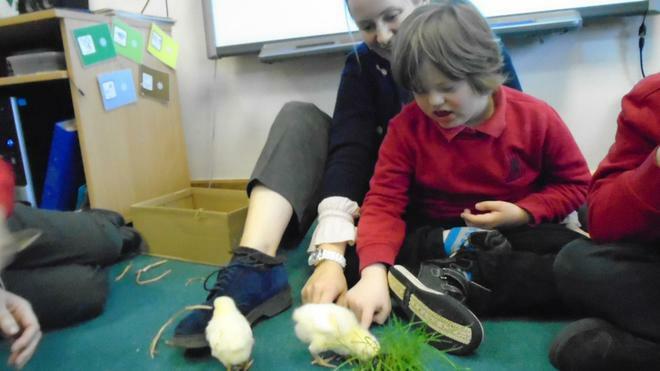 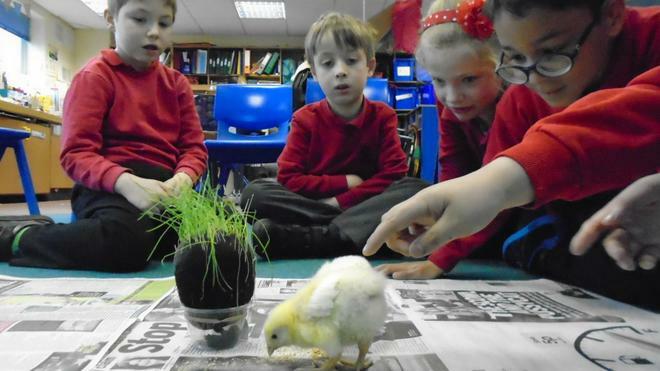 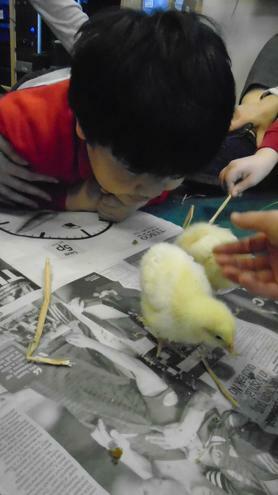 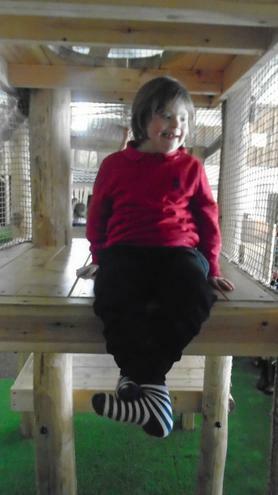 We also had a great time meeting real chicks and doing lots of fun Easter activities. 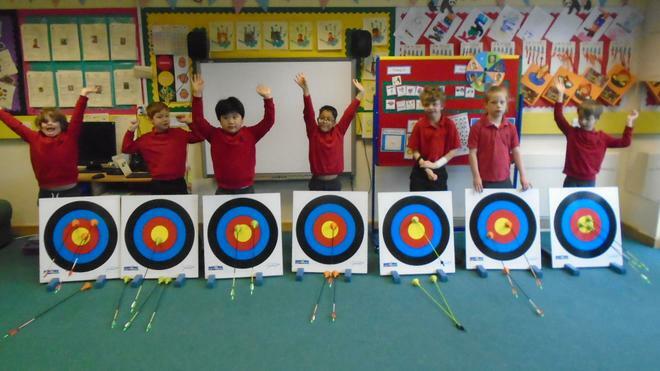 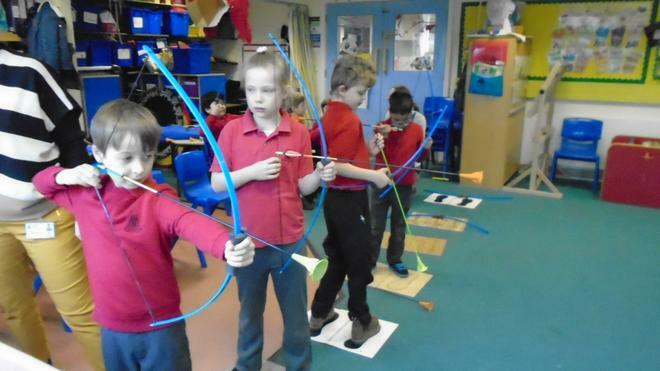 On our last day during our Big Picture Treat we did archery! 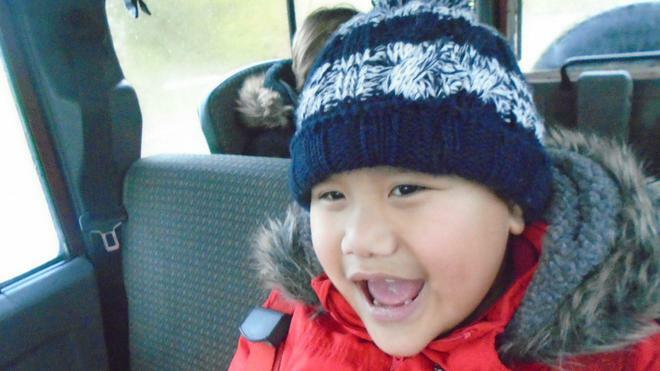 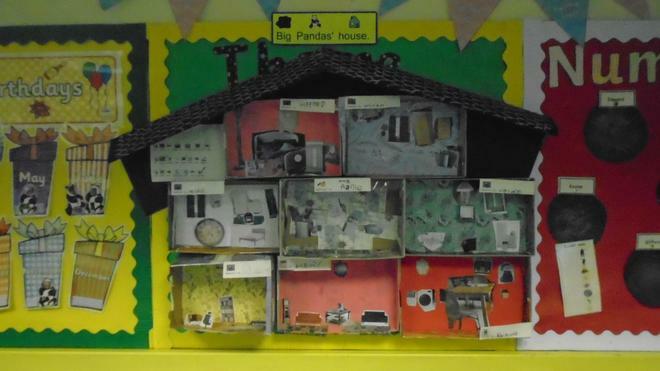 In term 3 we started with the theme of 'Home Sweet Home'. 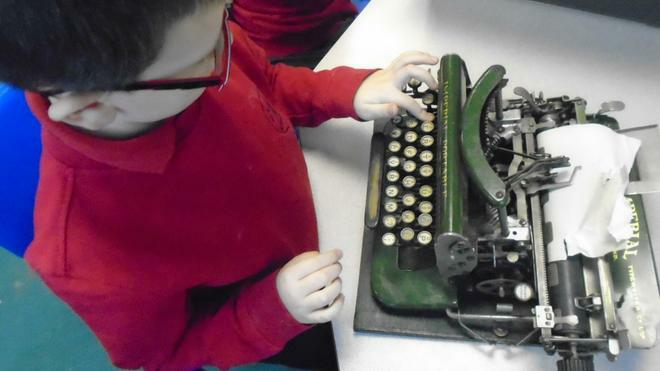 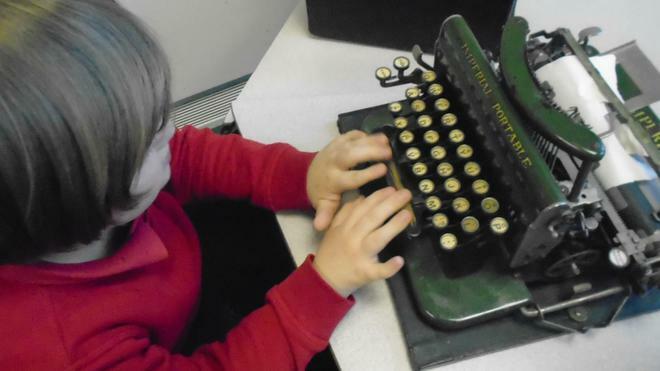 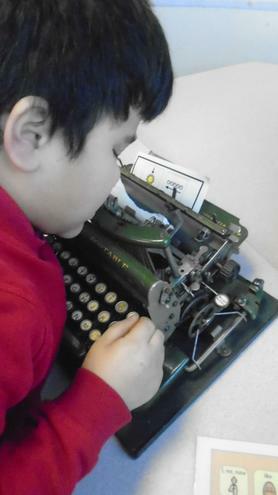 The children have enjoyed looking at houses old and new - especially getting to use some of the old objects like carpet beaters and type writers. 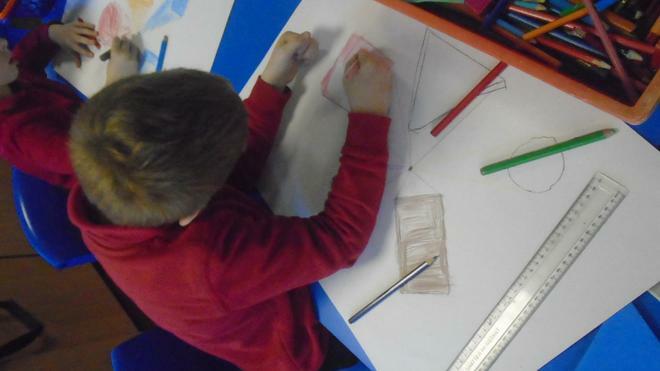 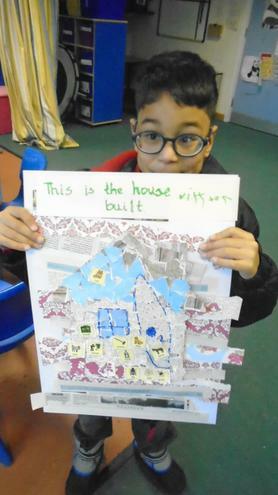 They have also worked really hard at creating different rooms for our class house - choosing what wallpaper, flooring and furniture they'd like. 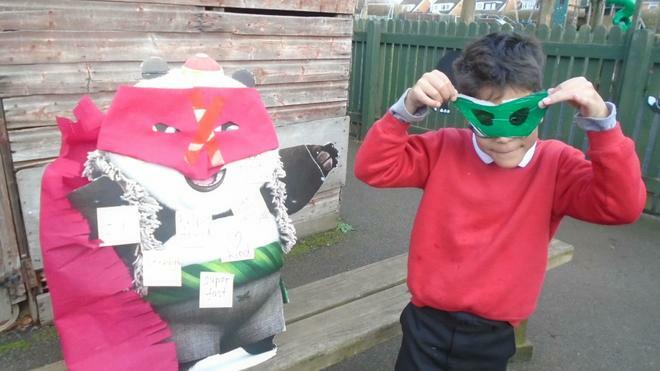 Pandas loved next theme of 'Super-heroes'! 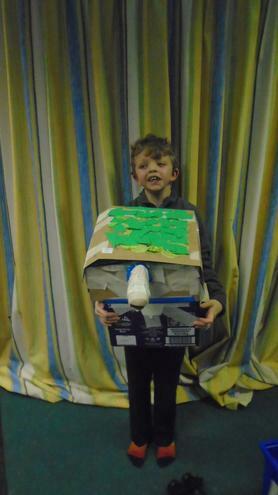 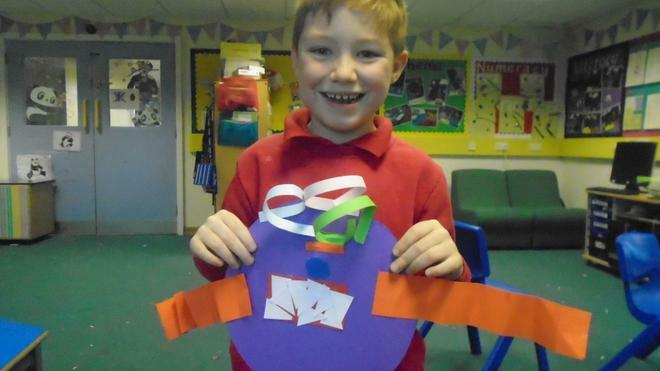 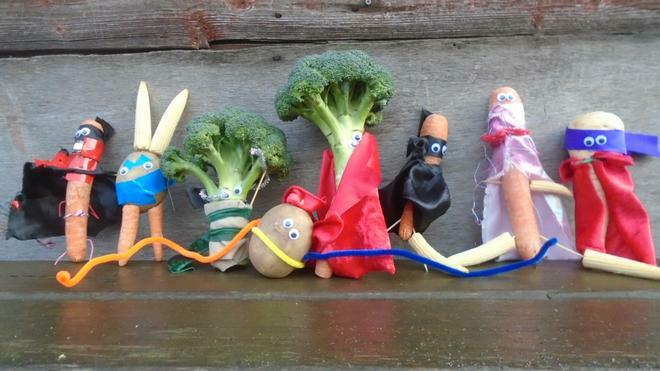 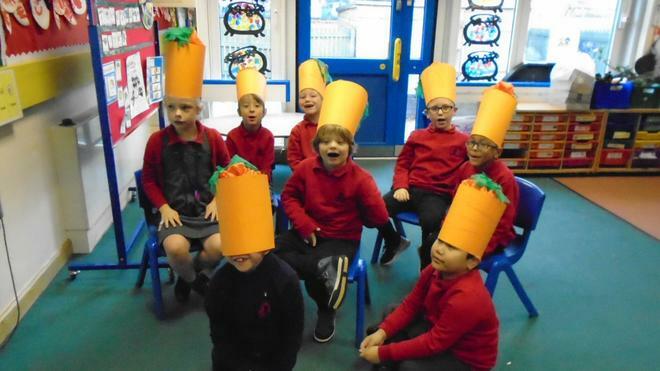 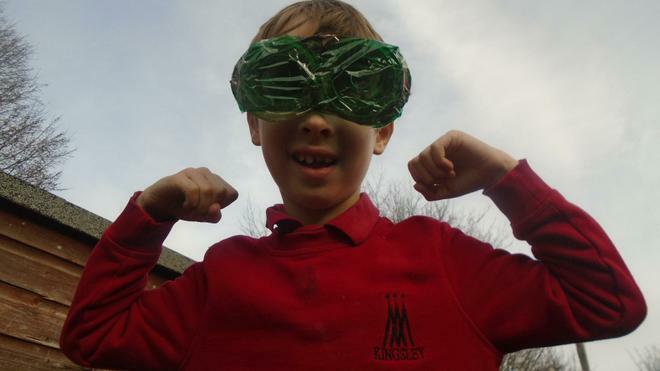 We have been looking at the story 'Supertato, Run Veggies Run' and had great fun making our own vegetable super-heroes (check out the movies we made with them on the link below). 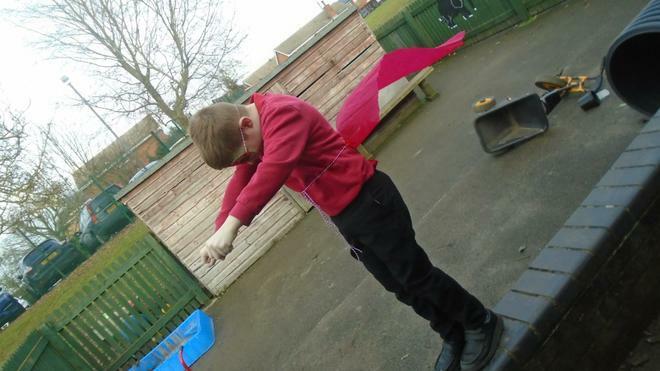 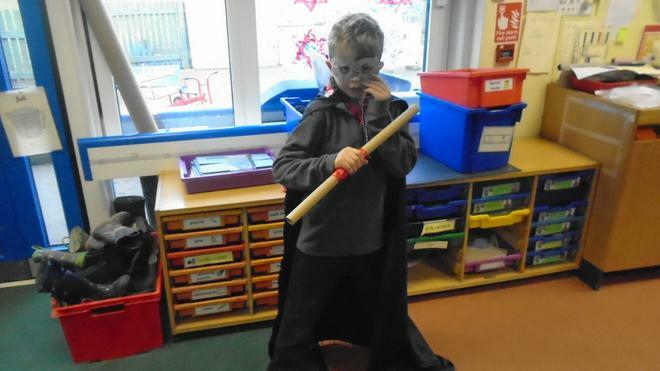 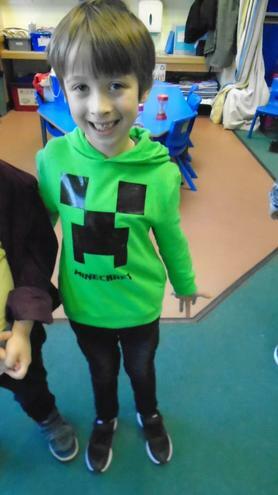 We have also spent time looking at what makes a super hero, then turned ourselves into super-heroes creating home made costumes. 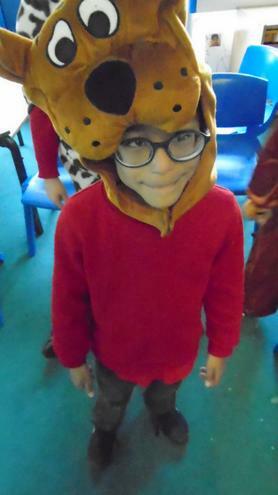 In term 2 we started off the term with a Halloween party! 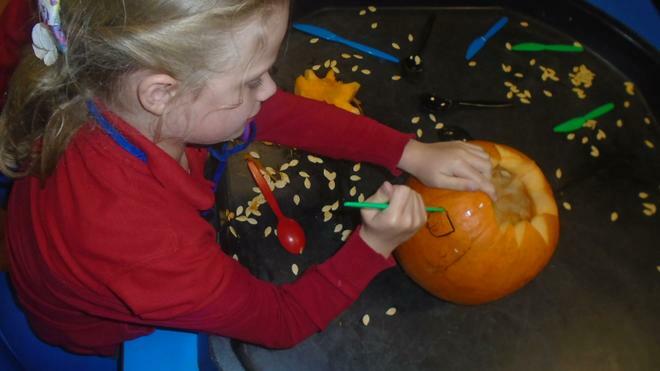 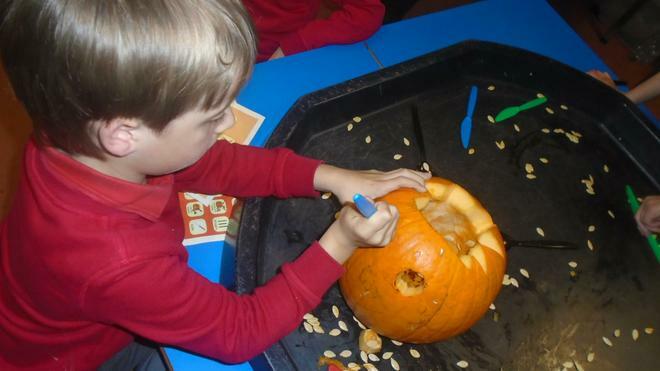 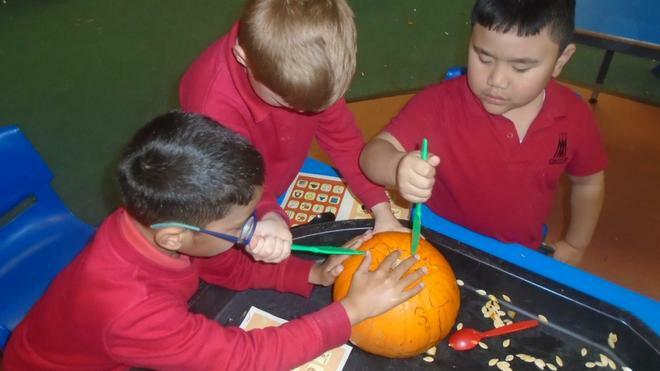 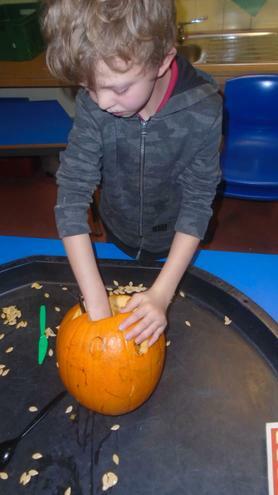 The children all helped to carve pumpkins and decorate the classroom with cobwebs, witches legs and spiders - it was lovely to see everybody in their fancy dress outfits. 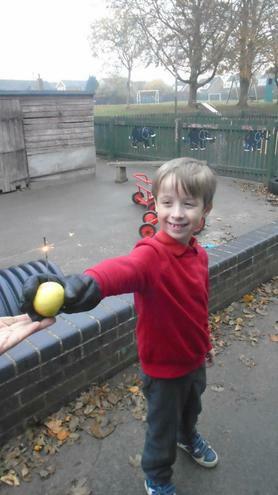 Since then we have been looking at bonfire night where we looked at firework safety and had sparklers! 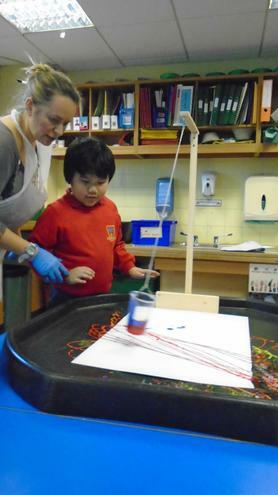 We also made awesome firework pictures with the paint spinners. 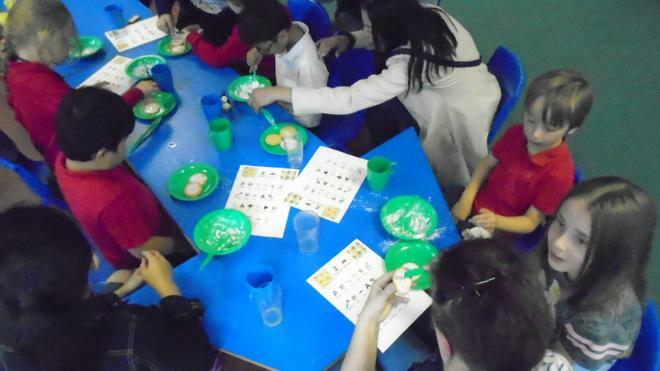 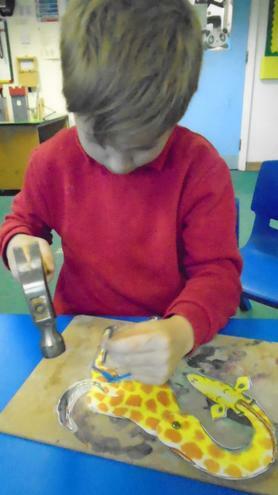 We are now focusing on Diwali, where we are making clay Diwali Diya lamps. 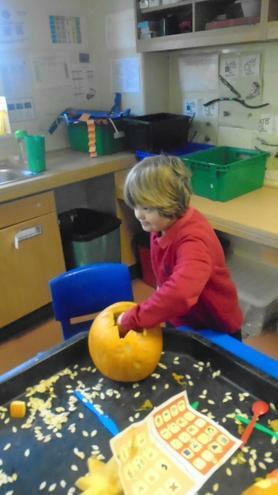 We then moved on to the theme of 'Squish and Squash' where things started to get a bit messy! 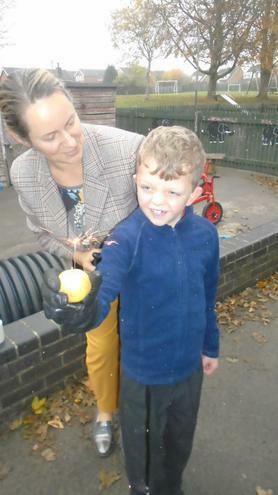 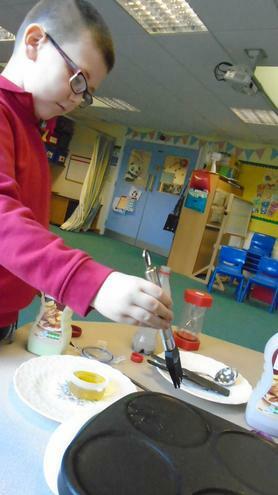 We explored different textures of foods with our hands - thinking of lots of different words to describe them. 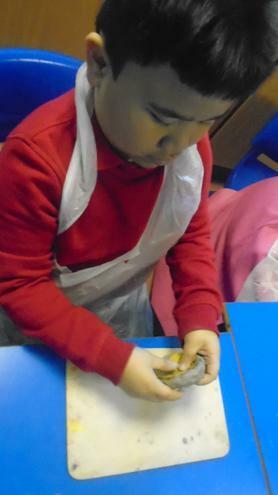 We also used the clay again to make textured bowls and pebbles. 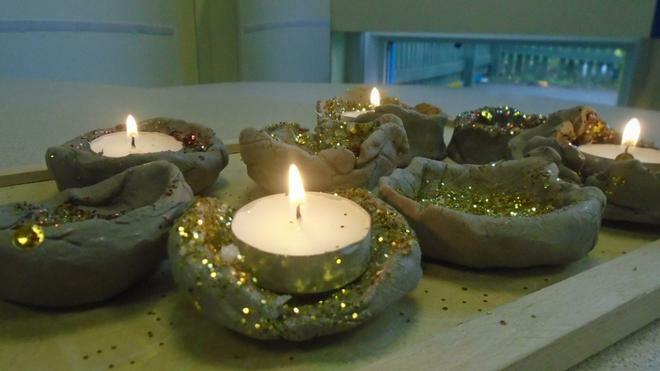 Our next theme was 'Bright Sparks' where we looked at Hanukah and Advent. 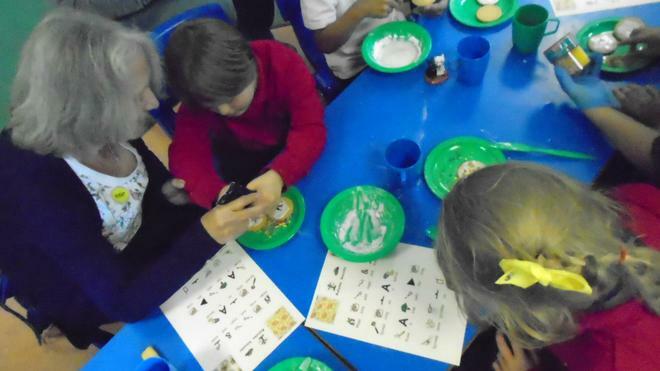 We had a great afternoon celebrating the eight nights of Hanukah, trying the foods they eat for it and giving gifts and cards, and of course the lighting of the candle each night. 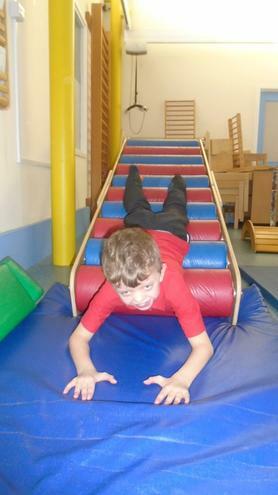 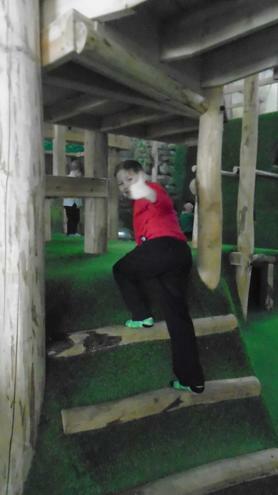 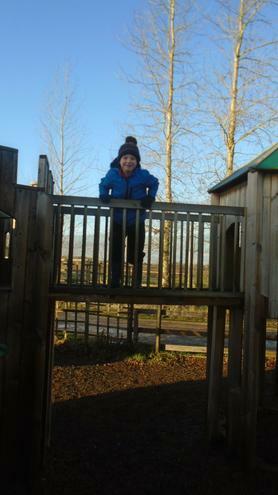 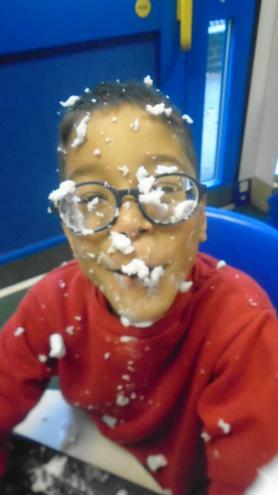 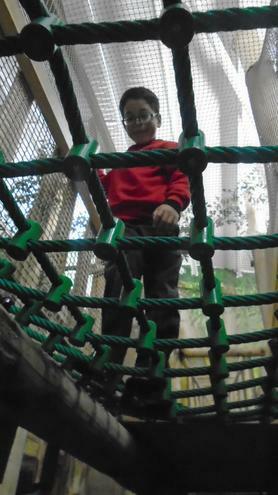 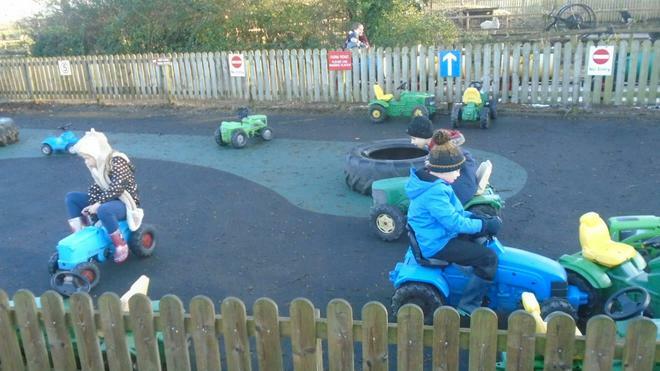 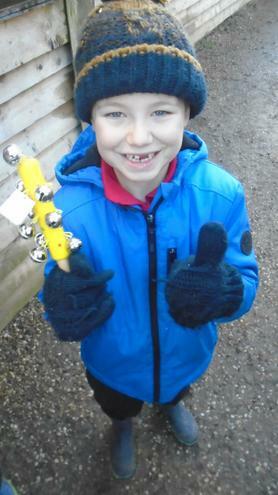 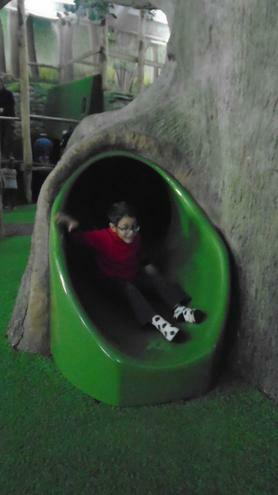 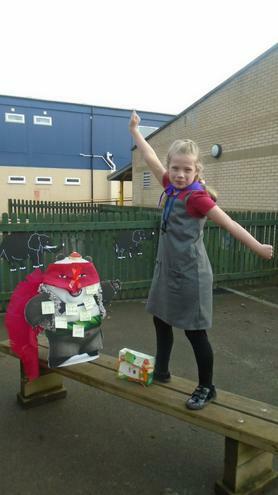 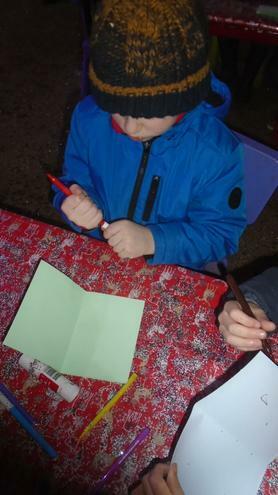 We finished the term with lots of fun Christmas activities. 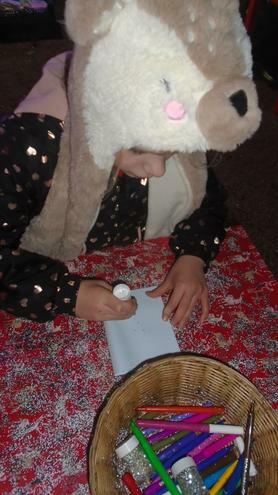 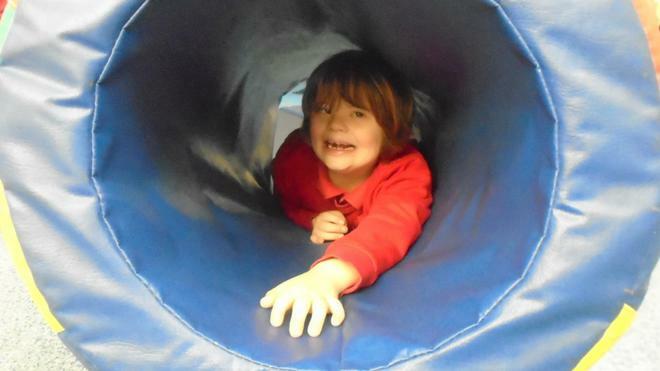 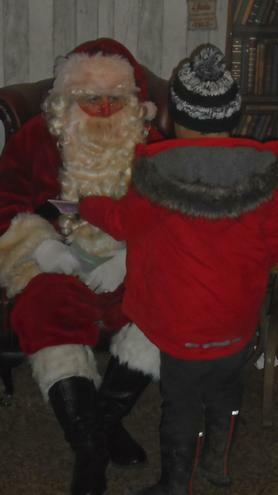 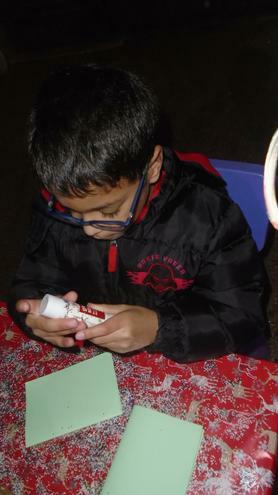 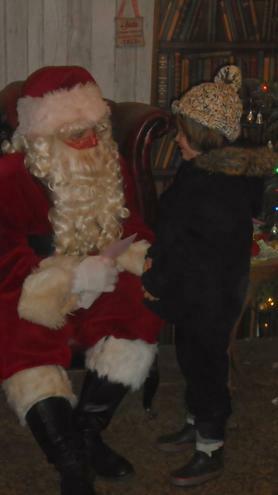 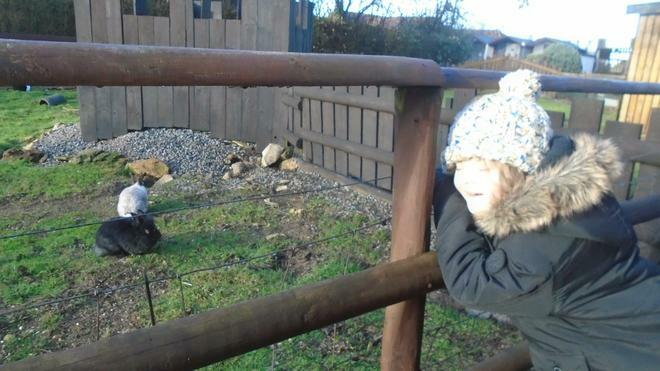 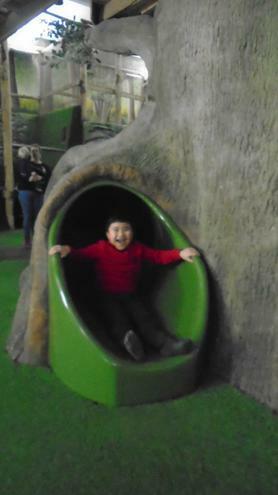 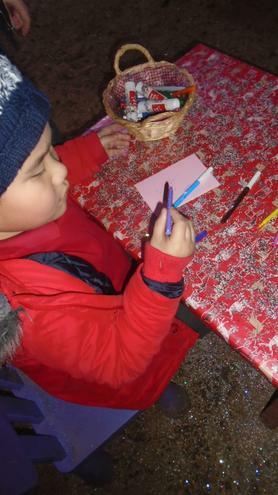 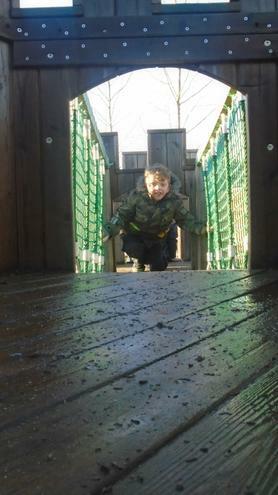 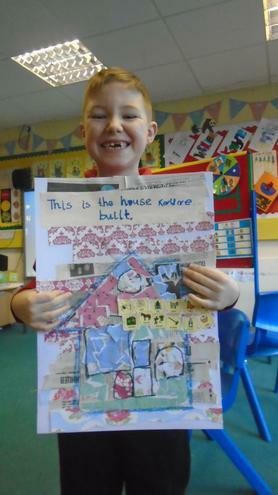 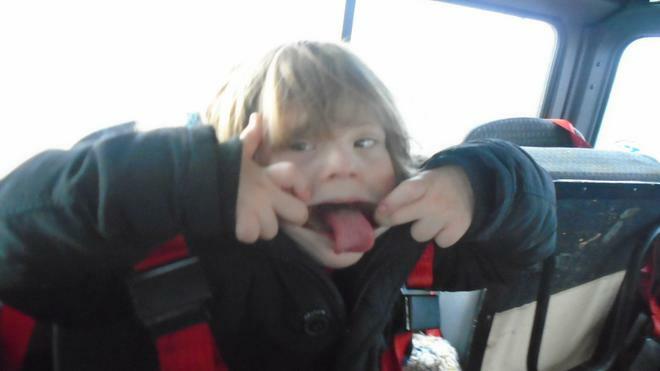 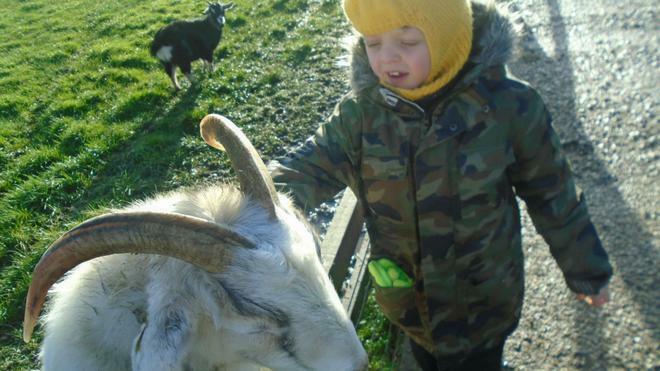 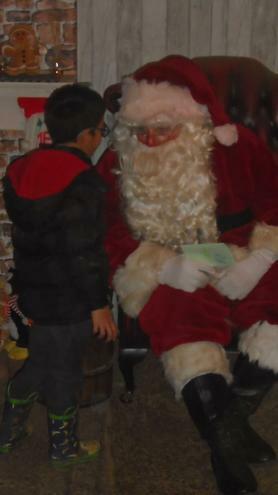 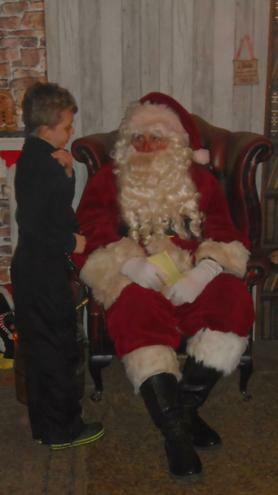 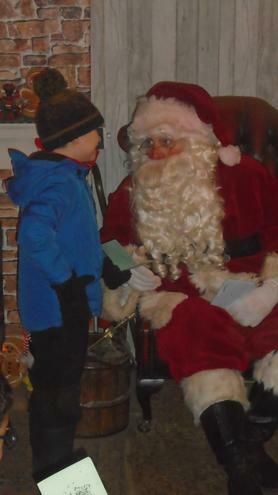 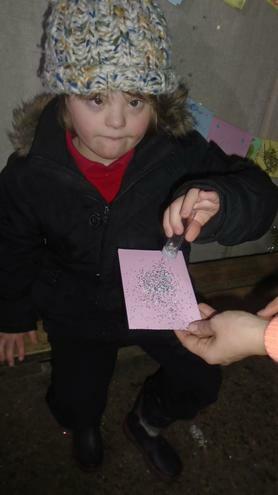 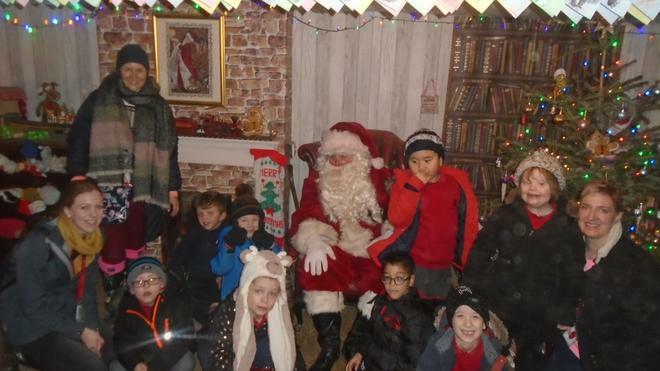 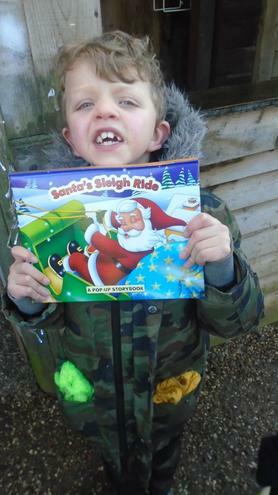 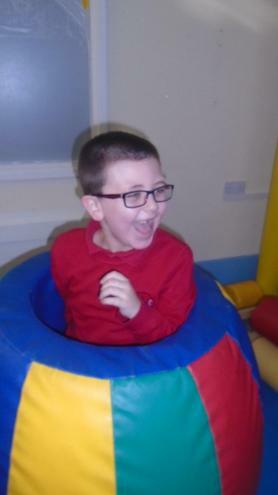 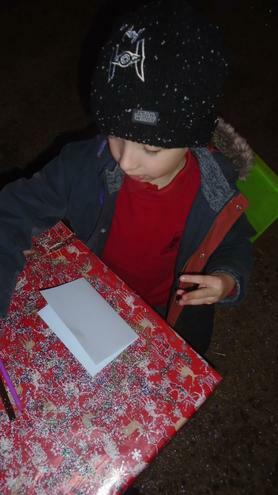 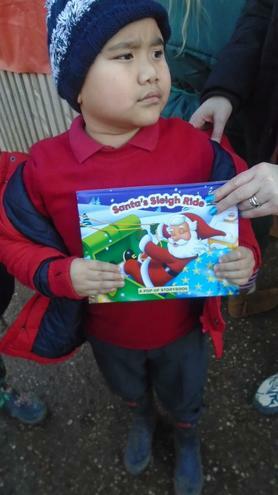 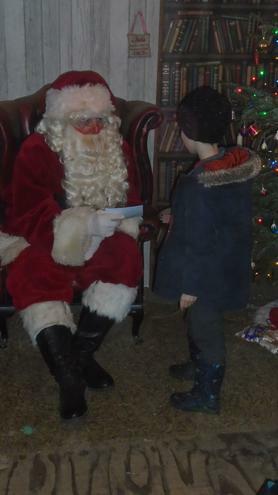 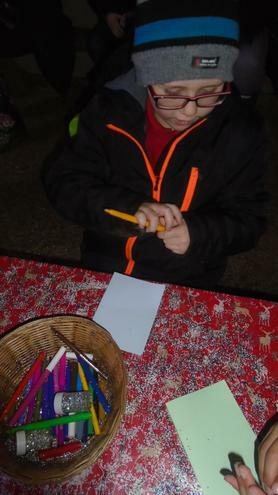 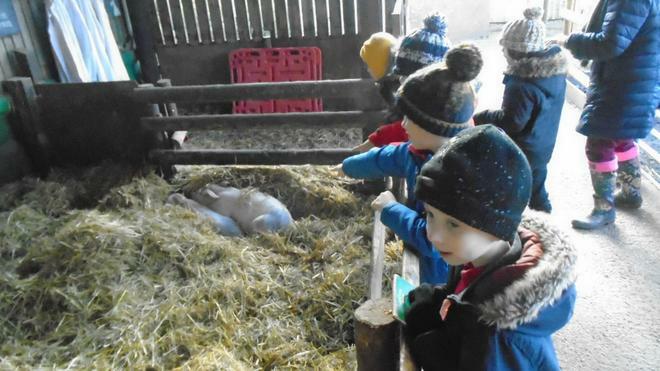 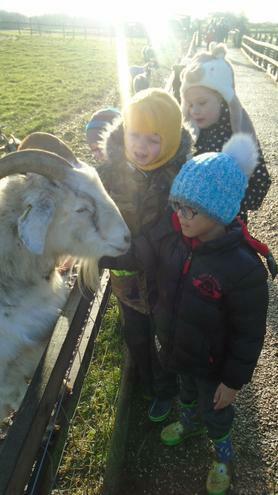 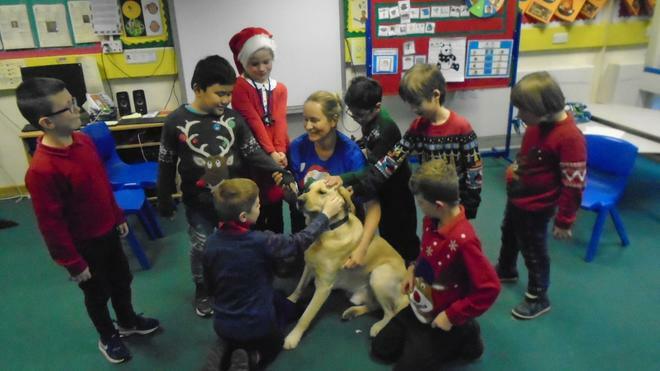 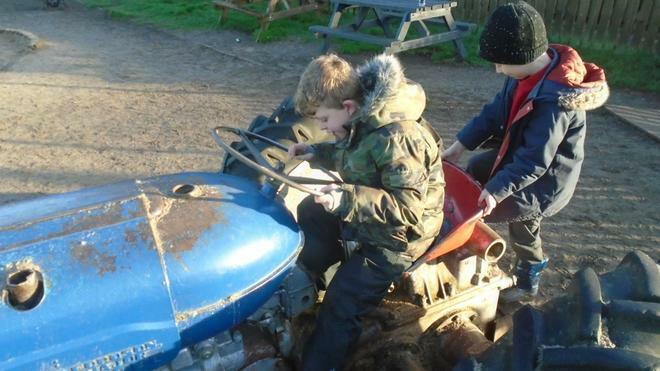 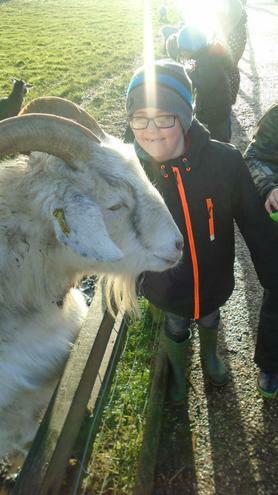 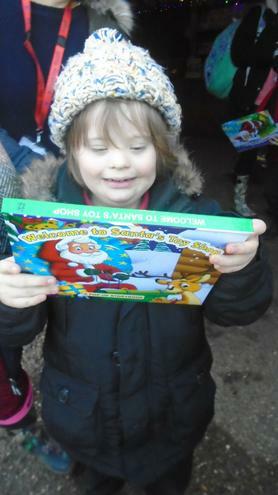 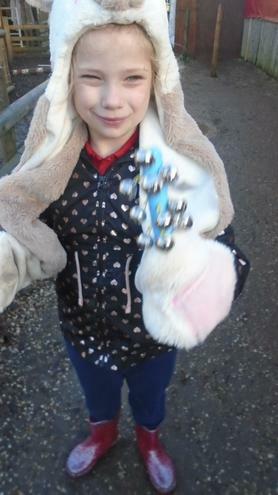 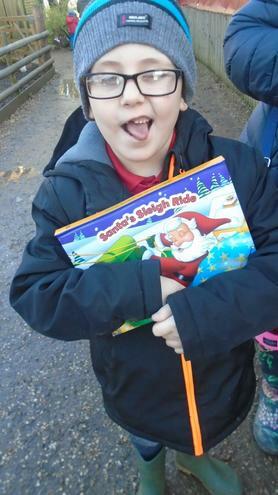 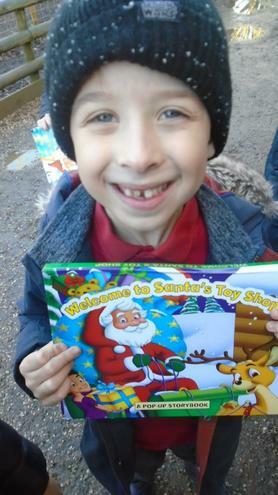 We had Christmas parties, made lots of Christmas crafts, met reindeer and even Santa himself! 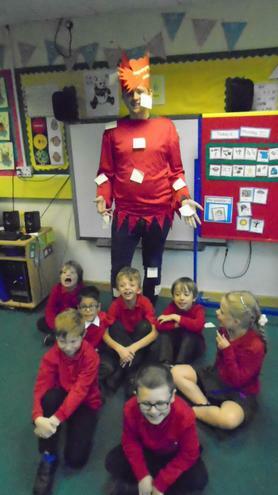 In term 1 we looked at the story 'Room on the Broom'. 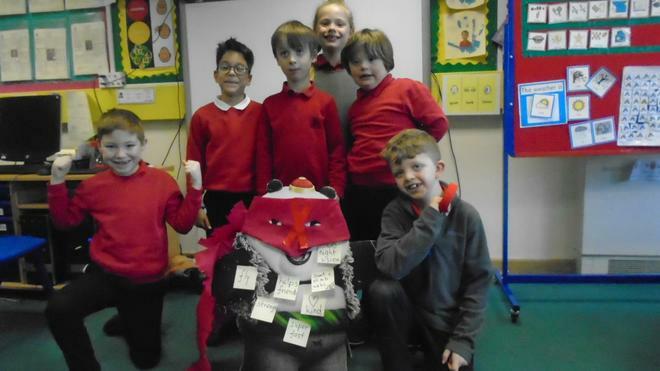 During this we did group artwork projects, went on hunts for the different items that fell from the witch and then finished off with a department celebration where each class bought something along to have - Pandas' made witches brew drinks for everyone! 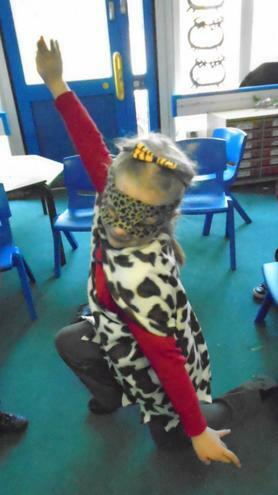 For our next topic 'All About Me' we put on a Pandas' X-Factor!! 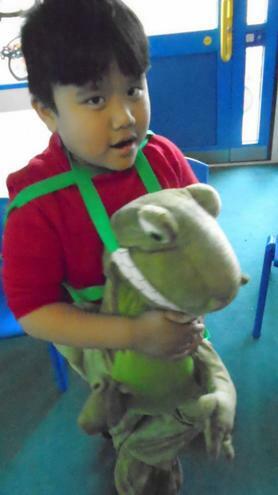 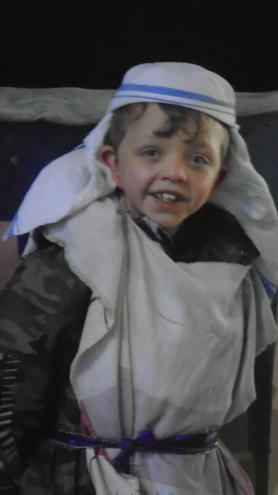 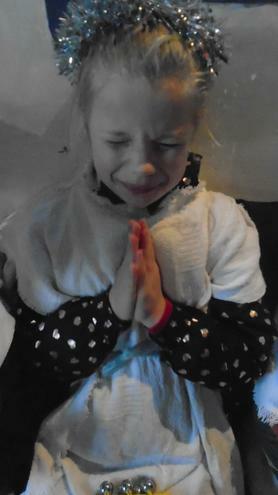 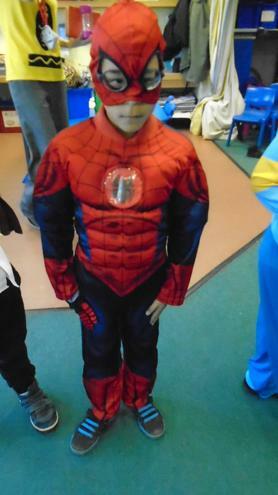 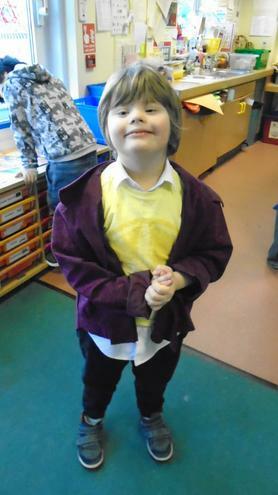 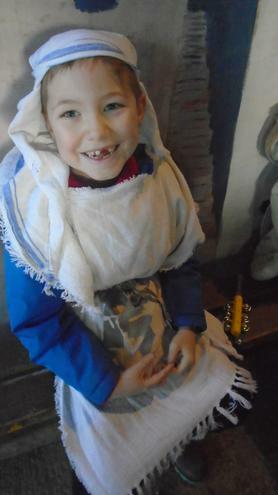 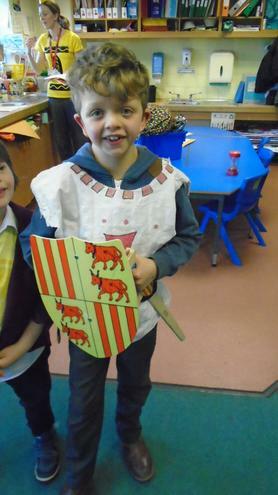 The children loved planning their acts to show off their talents and choosing costumes. 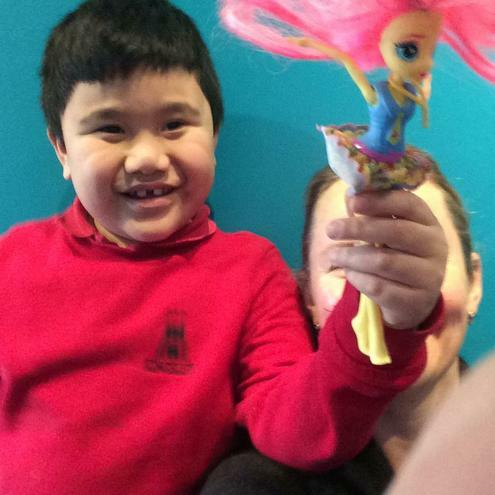 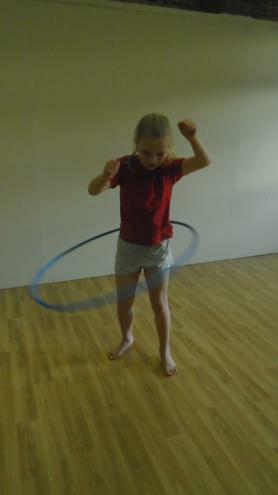 We had dancers, animal tamers, football skills and many more - even Youlia showed off her magic talents! 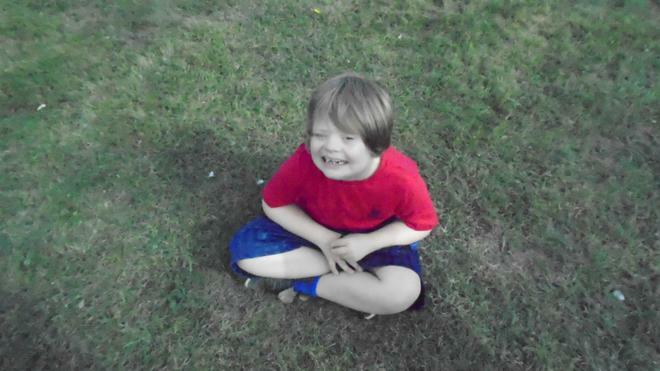 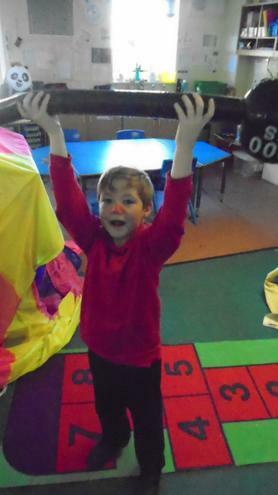 Everyone had a great time cheering each other on and throwing confetti for the golden buzzers. 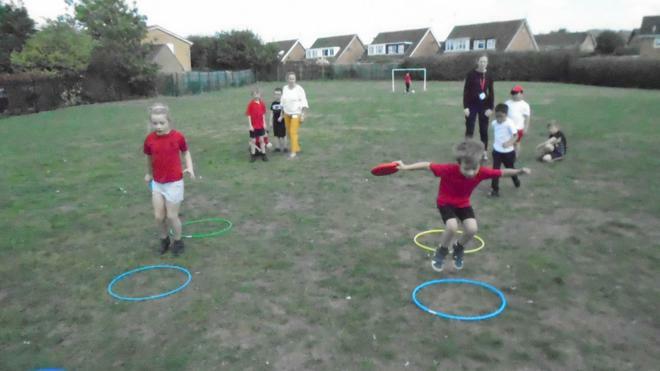 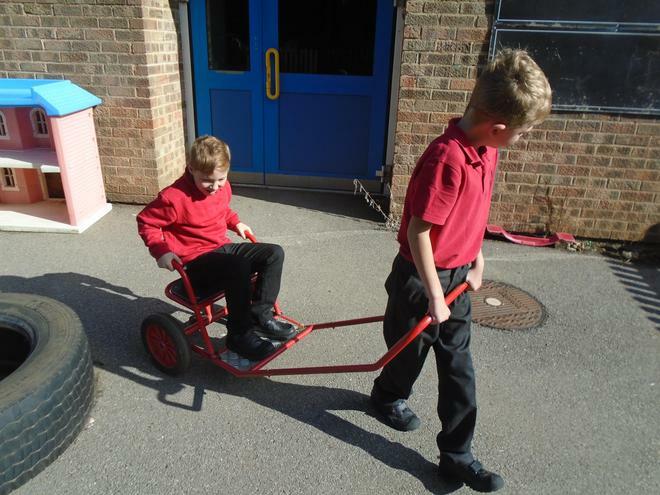 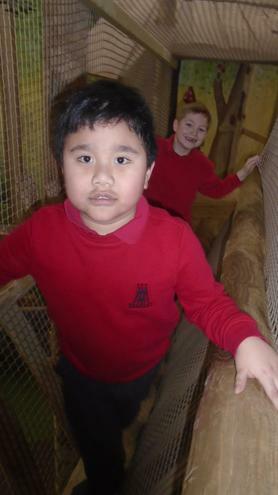 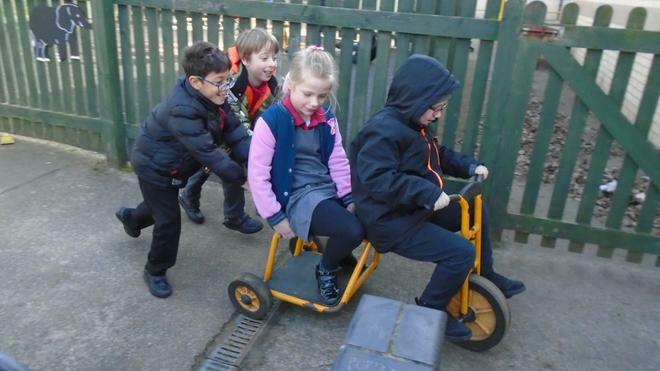 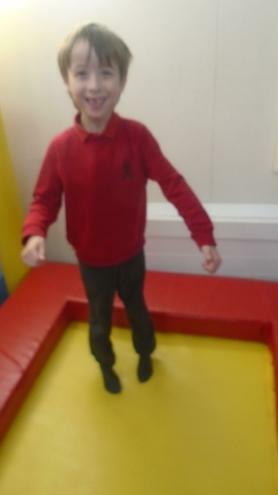 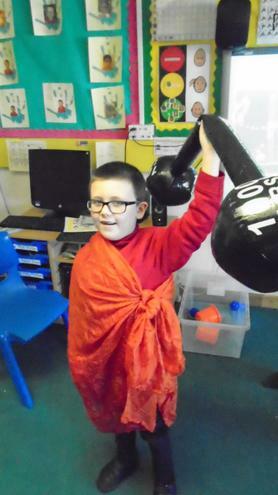 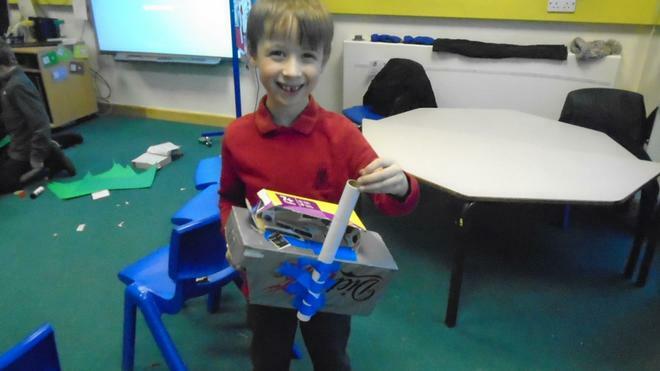 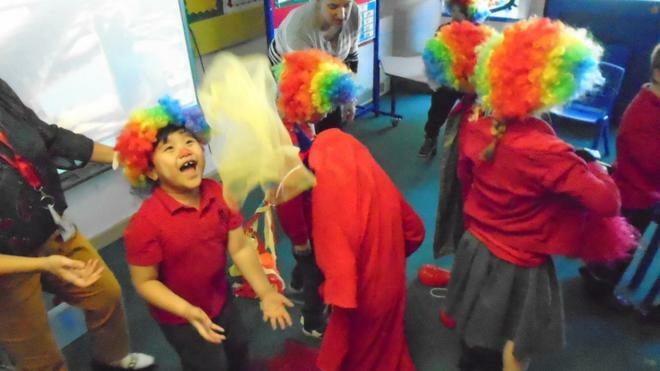 We finished off this term with the topic - 'Circus'. 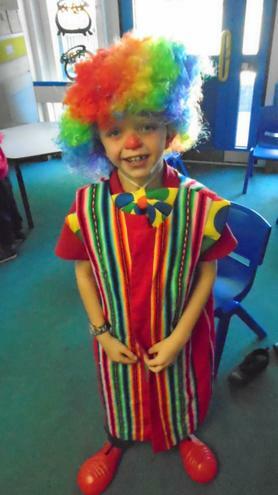 We had great fun dressing up as clowns and making our own circus tent. 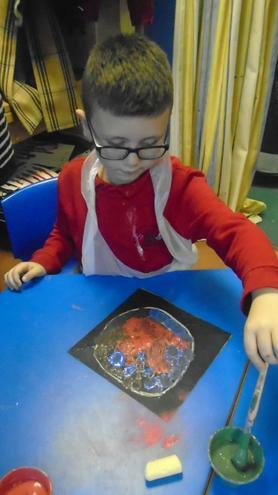 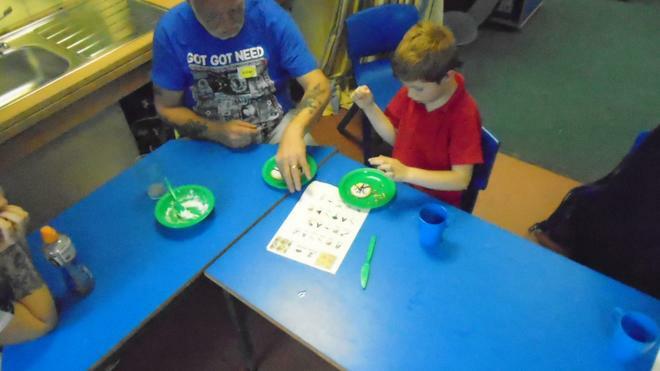 We also did craft activities using paper plates following step by step instructions. 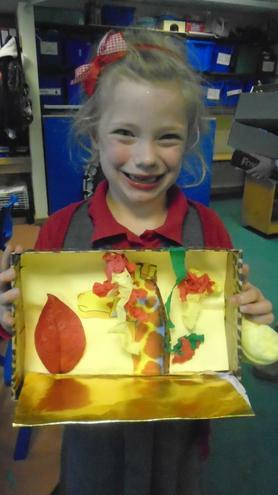 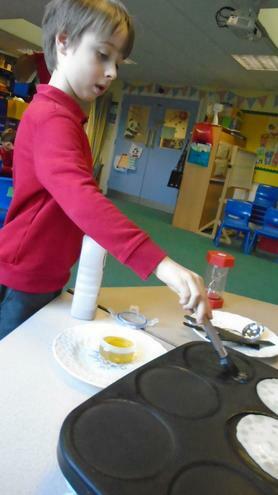 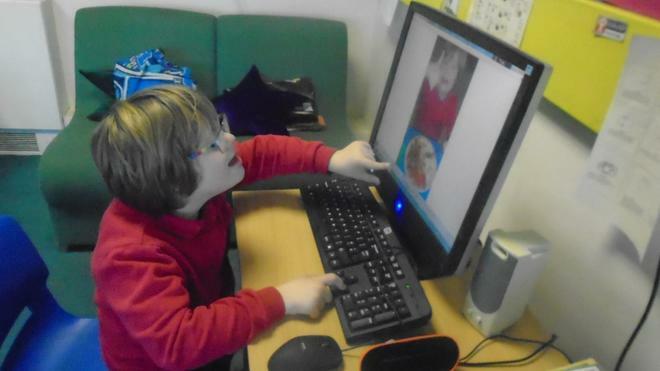 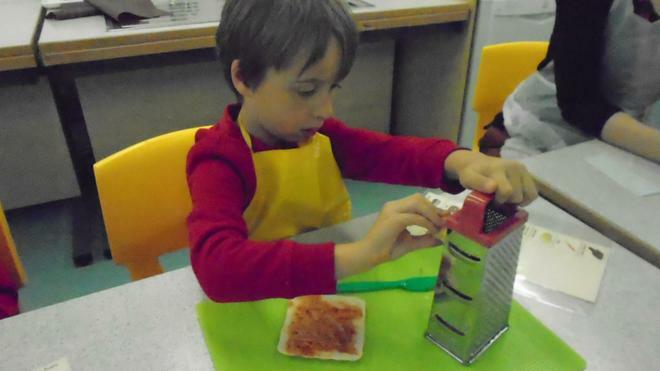 In our other subjects we've been making sandwiches and pizzas in cooking. 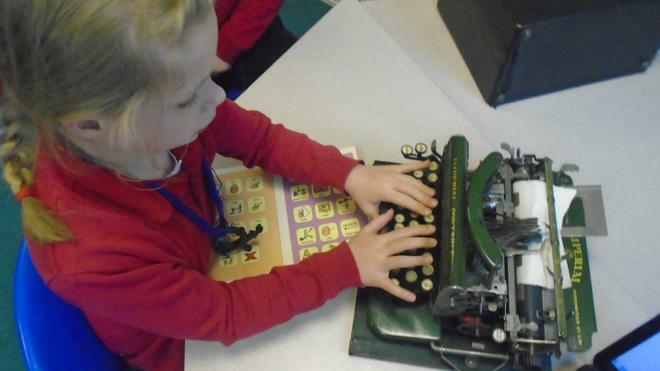 In literacy we've looked at poems and have been working on our phonics. 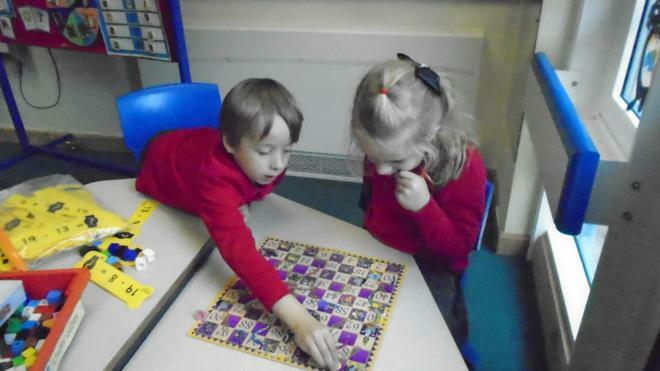 In numeracy we've been looking at position and direction guiding each other round blindfolded courses. 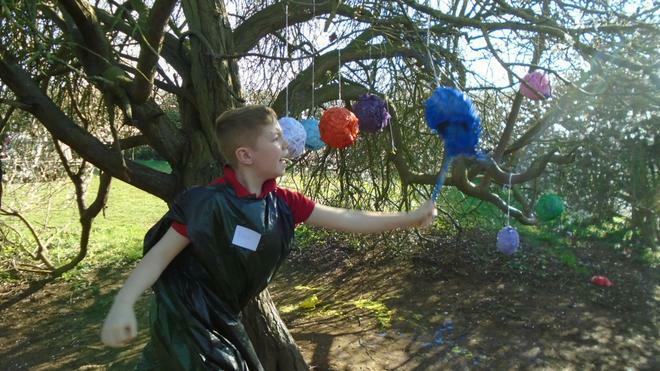 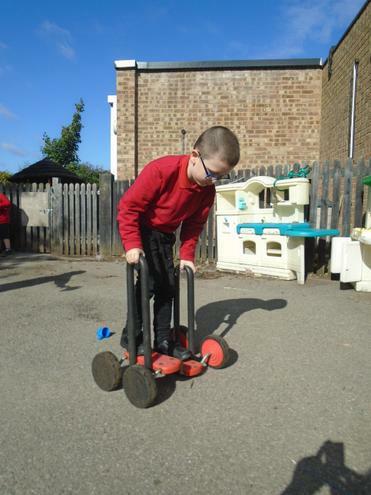 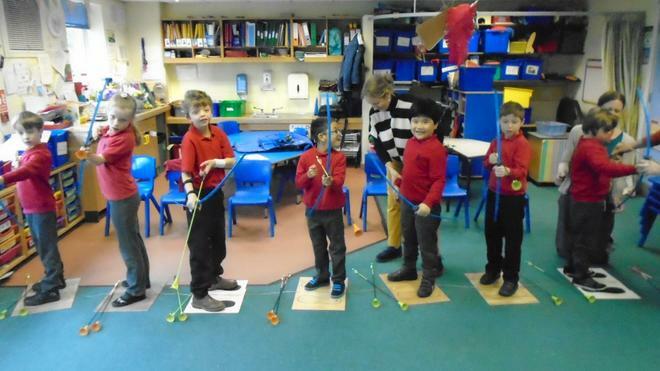 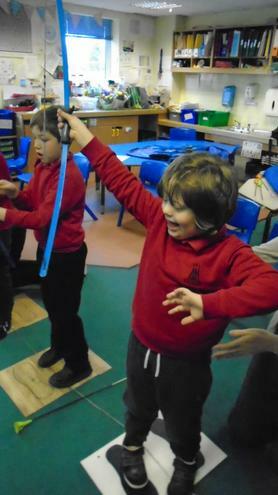 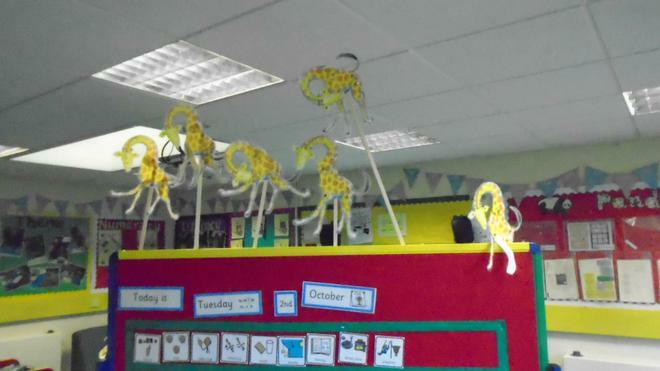 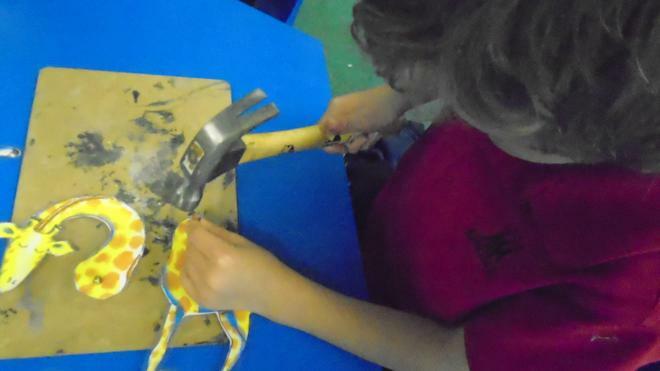 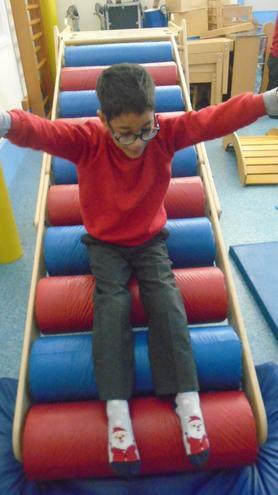 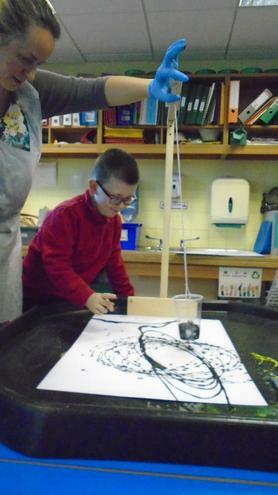 We have even done some DT this term using hammers and nails to create moving giraffes.